A fix is still in the works for a troublesome compatibility pack error. If you find yourself unable to explore the Pandoran wastelands due to a new Borderlands 2 DLC pack, you're not alone. Sir Hammerlock's Big Game Hunt, the game's third major DLC adventure, launched today, but not without a fairly sizeable hitch. A compatibility pack, intended for players who don't want the new DLC but still want to play online with their big game hunter friends, is making online connectivity impossible for a number of Borderlands 2 players. A poster named PacSound brought up the issue on a 2K Games forum after getting kicked out of an online match. "When I restarted the game and got back online, [the game] was telling me to download the compatibility pack again (Which I obviously already had)," he wrote. Since then, he has tried deleting the files in question and re-downloading them, both through the game and the Xbox 360 dashboard, to no avail. A tech support representative, Brad L, directed PacSound and others to an entry in the support database dealing with the issue. "The team has been working through the night to address the Compatibility Pack issue and is treating this as a critical priority," Brad explained. The page does not offer anything in the way of solutions yet, but will receive updates as research and potential solutions progress. For right now, Brad recommends clicking the "subscribe" button on the database entry to automatically receive new information when it becomes available. 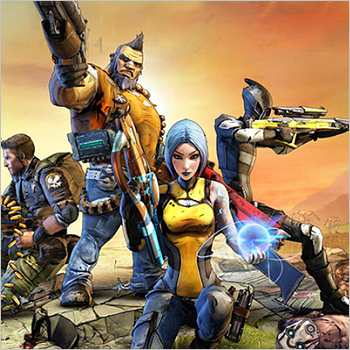 So far, the bug appears to be targeting Borderlands 2 players on the Xbox 360, but feel free to leave a comment if the compatibility pack has affected your PS3 or PC online connectivity. For the time being, single-player and local co-op still work fine, so maybe it's time to tempt your friends over with some booze or baked goods. Maybe even both.